It's another day of dissections for me, but Kathryn Furby (from WHOI) is here at KAUST working on some really great corals - Fungia! 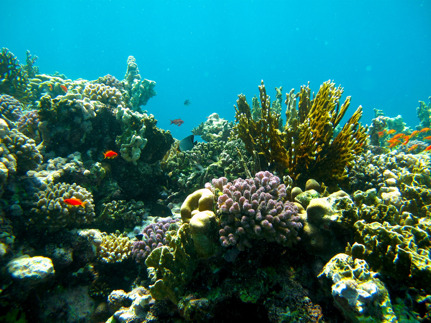 Corals are animals that typically behave like plants: they don't typically behave too much. Corals are usually colonial, and have many polyps per colony (but not fungids, see below). Each polyp is a mouth (think of each polyp as an anemone -- same idea, and indeed -corals and anemones are closely related). Many corals extend their polyps at night to feed, and keep them retracted during the day. But some corals visibly behave - for example, some soft corals (Xenia and Heteroxenia spp.) definitely showcase the animal side of corals: check out this polyp movement! As a coral biologist, I often feel defensive about my level of excitement for an animal that looks like a slimy rock. 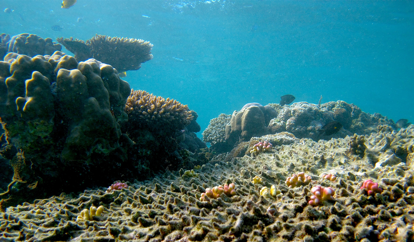 Corals build islands and protect coastlines from cyclones. Coral creates structures and habitats for fish and other invertebrates to live. There are many important facts circulating in the public and scientific communities about coral reefs, but there aren't enough exciting rumors. The corals you are most familiar with are stationary, cemented to a network of reef that can extend for miles, like one giant life form. Most tropical reef corals undergo a pelagic larval phase. This means that after spawning, the corals' gametes combine in the water to form free-swimming larvae. This is the only phase of a coral's life where it is able to select its habitat, so you can imagine how important it is. Once the coral has "settled" on a suitable hard substrate (free of algae and other competitors), it is literally stuck there for the rest of its life. This photo shows baby Stylophora corals that have settled on a larger recently dead Acropora coral. Meet mushroom corals, family Fungiidae, genus Fungia. These little corals are not the branching Acropora or massive boulder-like Porites coral that you know (and love). Fungia are usually single polyps, and thus are individuals instead of colonies. Fungia mushroom corals consist of a circular disk with one mouth (usually) on the surface. Exciting rumor #1: The fastest moving coral in the world is the mushroom coral. This coral has the same free-swimming phase as other corals and also attaches to a suitable hard substrate of its choosing. In this photograph you can see at least three young Fungia corals that are attached. You can see that from the side, young mushroom corals look like their namesake, mushrooms. 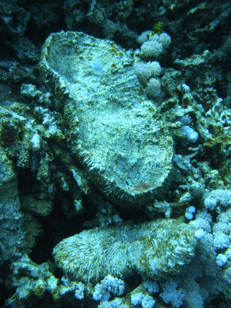 However, once it reaches a certain size, mushroom corals detach from the reef. At this point, all bets are off. No longer imprisoned by a base cemented to rock, Fungia corals can continue to move during their youth. 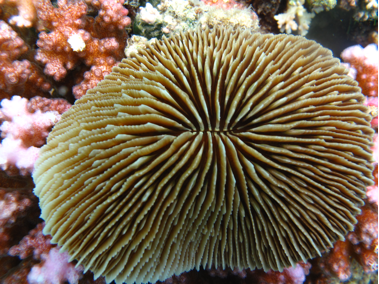 Like a student's choice to move away from home for college, maybe backpack through Europe, the mushroom coral continues to move until it reaches a certain size. How can a coral move? 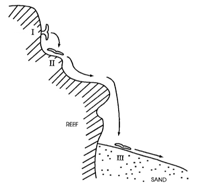 Figure 1 from Chadwick-Furman and Loya 1992, reproduced with permission from author. Mushroom corals can be moved passively and move actively. Being a small aerodynamic disk in an ocean environment is tough. You're at the mercy of currents and extreme storms far more than your average sedentary coral. Small mushroom corals often get picked up by current and wave action and moved. Statistically speaking, it's extremely likely that the coral gets dropped upside down. When I first started studying these corals, I got to this point in my research and was boggled by how these animals had survived natural selection. If the coral landed mouth down, it would eventually bleach and starve simultaneously. At the beginning of my fieldwork, I spent a lot of time flipping Fungia back over, saving the world one coral at a time. Or so I thought. As it turns out, Mother Nature is much more clever. Mushroom corals can swell the tissue around their skeleton and actively move. They can also use this mechanism to right themselves after being flipped over. The process is slow, it can take days to complete. If the coral is on sand, it can blow water through its mouth, making a small indentation around it. It is then able to slowly move up the side of the hole until it can flip back over. Exciting rumor #2: Mushroom corals are also flipping corals. Mushroom corals are the only corals that can move or be moved onto sand and live happily ever after. As they grow bigger and heavier, they tend to move vertically down the reef, mostly thanks to gravity. As a result many large mushroom corals will end up on the sandy bottom of a reef. When this coral dies, other big sedentary corals are able to colonize their skeletons as a perfect hard substrate. 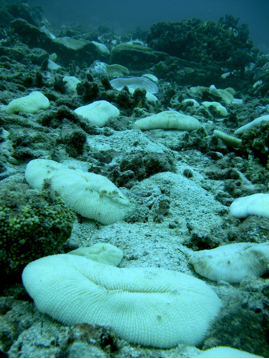 This photograph shows two dead mushroom corals that are becoming part of the reef. 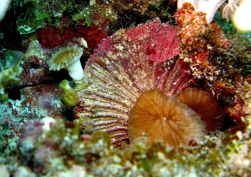 By moving onto sand patches and becoming new reef substrate, mushroom corals are able to create and expand reefs. In an era of rising sea surface temperatures and ocean acidification, coral reefs need all the help they can get. Fungia are just the super hero corals needed to help expand reef boundaries. They might just become the next charismatic mini-fauna to champion reef preservation. Next time you see a reef in the tropics or in an aquarium, flip out over corals! Fascinating. How exacly is the mushroom coral attached to its skeleton? What purpose do those deep groves in the skeleton serve? 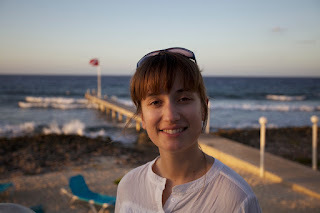 Hi Kate, great blog, but I have a question, with all the Acropora, Porites and Favia on the reef, is there really mushroom for Fungii?